LAT Protocol transforms access to capital, and enables cryptocurrencies to be widely used in the real economy, making capital markets more transparent, efficient and sustainable, while removing the cost of traditional middle men and “too big to fail” institutions. Chris Kacher, a renowned investor, bestselling author of “How We Made 18,000% in the Stock Market”, and one of the biggest LAToken contributors, expresses his strong belief in LAToken’s future success: “It is not hard to see how the cryptospace will be worth tens of trillions of dollars within the next several years. I believe LAToken will be a direct beneficiary of this massive expansion due to how it will position itself in the cryptospace. Its projected numbers, while seemingly unbelievable due to their sheer magnitude, actually make perfect sense given the viral, decentralized nature of the cryptospace”. LAT Platform allows crypto holders to diversify a crypto portfolio with assets from all major asset classes (equity, debt, commodities, real estate, works of art) without converting to fiat with low transaction costs and maximum transparency and security. 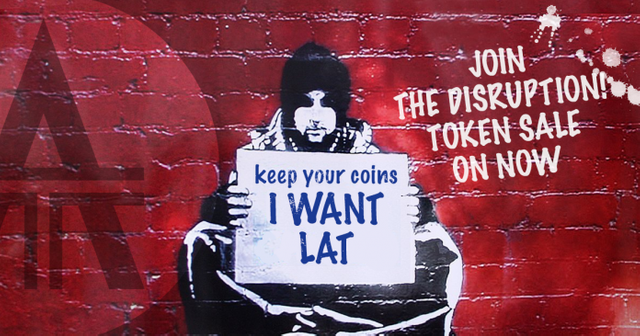 LAToken also offers a unique opportunity for crypto holders to gain exposure to the value of illiquid assets accessible only to large investors (such as real estate and artwork) and thus increase their ROI and diversify their portfolio. Fiat traders can prefer to NASDAQ due to lower transaction costs and 24/7 availability. And owners of illiquid assets, such as real estate or works of art, can tokenize them and sell by fractions with a liquidity premium estimated at 10-40%. “LAT Platform has added tremendous value to Blockchain implementation and has revolutionized how cryptocurrency is traded in the real economy,” says Mike Jones, former CEO of MySpace. “Businesses succeed if they provide a solution to a problem which affects a large market. Finding liquidity for illiquid assets is a trillion dollar market. LAToken has found a solution to this global problem, it’s a game changer,” adds Mitchell Manoff, CEO and founder of Corinthian Partners.